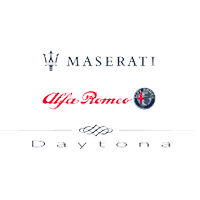 Upgrade to a luxurious vehicle at an enticing price point when you shop the selection of Certified Pre-Owned Maserati vehicles for sale at Maserati Alfa Romeo of Daytona. Our CPO Maserati models come with a plethora of perks that can help you drive home confidently in a luxury vehicle you’ll love for years to come. As one of the world’s most coveted auto makes, Maserati knew that it needed to offer something special for its Certified Pre-Owned Program. That’s why every Certified Pre-Owned Maserati has been thoroughly inspected to ensure it lives up to the brand’s high standards. A reconditioning process brings the used Maserati back to like-new condition, and if you have any questions we can go over the verified vehicle history at our Maserati dealership near Jacksonville, FL. In order for a used Maserati to earn the badge of Certified Pre-Owned, it must still be covered under its 4-year/50,000 New Vehicle Warranty. A 120-point inspection is performed to confirm the Maserati is in top condition, and the vehicle history is verified. Once all that is complete, every CPO Maserati vehicle is reconditioned to factory standards. Whether you’d like to finance a Certified Pre-Owned Maserati Ghibli, Quattroporte or a CPO Maserati GranTurismo, you’ll get to drive home in the luxury car you’ve been dreaming about. Certified Pre-Owned Maserati models are covered for up to six years with unlimited miles from the original factory warranty in-service date, which helps cover many of the components in your vehicle if something should fail. You can also drive confidently thanks to 24/7 Roadside Assistance coverage, and if you require any Maserati service you can visit our Florida Maserati dealer. Ask one of our Maserati sales experts about the benefits of buying a Certified Pre-Owned Maserati, then schedule a test-drive at Maserati Alfa Romeo of Daytona! 5 year or 6 year unlimited mile warranty depending on condition of the vehicle.